In order to distinguish the various Donald Camerons, the senior Donald Cameron in this family was nick-named “Weaver” on account of his occupation, and his son Donald Cameron was nick-named “Piper”, because he was a bagpiper. A detailed history of this family and their life in New Zealand can be found in The Kaiwarra Camerons, by M J Ullyat. Donald Cameron was born at Ockle, Ardnamurchan, Argyll, probably around 1784. Christian McLean was born in Ockle, probably in 1791. Donald and Christian were married around 1820, and went on to have at least the seven children who accompanied them on the Blenheim. One child, Allan, born in 1827, died the same year. Ormasaigmore is a locality on the Ardnamurchan peninsular of Argyll. The parish of Ardnamurchan was partly in the county of Argyll, and partly in the county of Inverness, and comprised the quod sacra districts of Aharacle and Strontian. As discussed in The Kaiwarra Camerons, the family probably moved to Ormasaigore, on the southern side of the peninsular, in the mid-1830s, from Ockle, on the northern side, where the children were born. Following their arrival in Wellington in 1840, the family lived at Kaiwharawhara (“Kaiwarra”). In 1842 Donald and his son Donald joined a New Zealand Company expedition led by the surveyor Charles Kettle and including Alexander Grant, another Blenheim passenger. While exhausting, the expedition did confirm that there was a lot of land in the Wairarapa that would be suitable for farming. Donald and his sons made further trips to the Wairarapa, and also, in 1856, bought a section of land at Waiwhetu in the Hutt Valley, where Donald and Christina made their permanent home. There is a suggestion in some histories that in 1843 Donald set up a rope-making business and a flax dressing school in Wellington, at the corner of Molesworth and Murphy streets. However, this is incorrect, since in fact it seems to have been the activity undertaken by a Mr Robert Cameron, a rope-maker from Durham, England, who emigrated to New Zealand on the Himalaya in 1843 with his wife and six children, and established himself as a rope and sailmaker, ran a flax and rope-making school in Thorndon, and later owned a flour mill in Ngauranga. Contemporary newspaper reports and advertisements, and juror lists, confirm this. Donald Cameron and his family had taken up land in the Wairarapa by 1846, at Pahaoa on the Wairarapa coast, which was initially leased from local Maori. In 1854, following the Government purchase of land in the district the leaseholders were able to buy the land. Donald Cameron purchased the homestead block, while the licence for the remainder of the Pahaoa property was in the names of his five sons. By 1858 Donald had also bought land at Parewanui in Rangitikiei to secure a property for his daughter Annie and her husband James McDonell. In an 1867 court case involving the estate of his son Donald, it was noted that Donald Cameron, the elder, the father of the intestate, died about February, 1860, having devised his freehold land near Pahaua and “Blairlogie” at Whareama to his five sons, their heirs and assigns, as tenants in common. He also bequeathed all his sheep unto, and to be equally divided between, his said five sons. The sheep bequeathed were depasturing upon the devised land. The case goes on to state, that the five brothers took possession of the lands and sheep, and carried on, thereon and therewith, the business of sheep-farmers together, without any agreement in writing. Dugald Cameron was born around 1822 in Ardnamurchan. In the Blenheim passenger lists Dugald was described as a labourer of 18. Annie Jeffs was a schoolteacher in Wellington, who was born in Wellington on 1 July 1842 and baptised on 26 June 1845 at St Paul’s in Wellington. She was the daughter of George Jeffs and Anne Bilton, who arrived in Wellington on 30 October 1841 on the Gertrude, having sailed from Gravesend on 19 June 1841. The Jeffs came from Coventry in England, and in the 1841 census for the parish of St John the Baptist were listed as living in Spon St, Coventry, Warwickshire. George, aged 40, was a ‘plush weaver’, born in the county, his wife Ann was 35 born outside the county, daughter Louisa was 12 and son Francis was 8. The steerage passenger list for the Gertrude had George as a labourer of 35, with a note that he was a cook, possibly meaning on the voyage, his wife Ann was 32, daughter Louisa was 12, an un-named son was 7, twins were born on board on 10 July 1841, with Charles dying on 23 July 1841 and Ann dying on 5 August 1841. At the time of Anne’s baptism their address was given as ‘on the Waiwetu River’, and George’s occupation was ‘labourer’. A case of sudden death occurred yesterday at Kaiwarra. Mr Dugald Cameron, an old settler, went at about nine o’clock into the Waterloo Hotel, and having obtained a drink, lay down apparently to sleep. After some time, those in the hotel went to wake him, but found that he was dead. An inquest was to have been held this afternoon on the body. Christina Ann Cameron, born in 1862, died in 1877. Donald Francis Cameron, born in 1864, died in 1943 in Scotland, married Elizabeth Charlotte Margaret Burles formerly Mathie in 1908 in Scotland. Catherine Lyons Cameron, born in 1866, died in 1908, married George Herbert Humphrys in 1890. George Alexander Allan Cameron, born in 1867, died in 1897. William Duncan Cameron, born in 1869, died in 1890. Alexander Cameron was born around 1823 in Ockle, Ardnamurchan, Scotland, and travelled to New Zealand on the Blenheim in 1840, being described as a labourer of 17 in the passenger list. On 5 June 1855 Alexander Cameron married Mary Morrison, another Blenheim emigrant, daughter of Hugh Morrison and Anne Turner. This was a joint ceremony with Anne Morrison ‘s second marriage to Hugh McPhee. Although Alexander Cameron was a partner with his brothers in their Wairarapa farming activities, it seems that he remained primarily in Wellington and handled matters from there as their Wellington agent. The funeral of the late Mr. Alex. Cameron, one of the oldest and most respected residents of Kaiwarra, took place this afternoon, and was very largely attended. The interment was made in the Sydney street cemetery. The deceased, who was a native of Argyllshire, and was 76 years of age, came out to New Zealand by the ship Blenheim in 1840, and has resided in the colony ever since. He was in New Plymouth when the first immigrants arrived there, and later on he walked from that township to Wellington. He went down to Otago with the first party of surveyors sent to that district, the journey occupying six weeks. Later on he worked under the Hon. Captain Russell’s father in forming the military roads near Johnsonville. Mr. Cameron was for some time in partnership with his brothers as station owners in the Wairarapa, but for the last 21 years he has been out of business. Amongst many public offices which he had held were those of Mayor of Onslow, Chairman of the local Licensing Bench, Vice-President of the Caledonian Society, and Chieftain of the Gaelic Society. The deceased, who leaves a widow and nine children, one of whom is the wife of Captain Cameron, Marine Superintendent for the Union Company, was possessed of a genial and generous disposition, and was deservedly popular. The death of Mrs Cameron, wife of the late Alexander Cameron, of Kaiwarra, occurred at her son’s residence “Okar,” yesterday afternoon, at the ripe age of 77. The deceased lady was one of Wairarapa’s earliest pioneers. She came out with her father, the late Hugh Morrison, of Glenmorven and Morrison’s Bush in the year 1840, by the ship “Blenheim.” After residing in Wellington for a short time, when quite a young girl, she came to Wairarapa with her father, who had taken up a run known as Morrison’s Bush. They made the journey from Wellington in an open whaleboat, and after a very rough and exciting passage, during which they narrowly escaped shipwreck, they landed on the open beach at Te Kopi. It was in the days when quicker modes of transit were unknown in these parts, and through the roughest of country she made the way to her future home, all on foot. She was the only surviving sister of the late John Morrison, of Blairlogie, well known in this district. Mrs Cameron was a fine type of the early pioneer, facing the difficulties of the early times with undaunted courage; and at the same time had a kindly disposition and was greatly beloved by all who came in contact with her. She leaves three sons and five daughters to mourn her loss. The funeral takes place to-morrow at Wellington. Donald Douglas Cameron, born in 1856, died in 1937, married Annie Ida Storey in 1880. 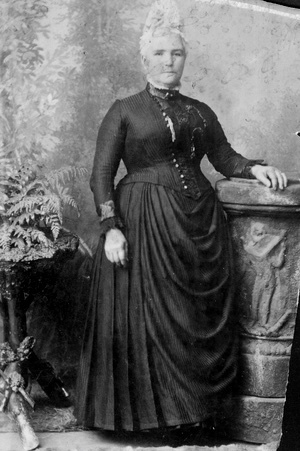 Annie Cameron, born in 1857, died in 1949, married Captain Angus Cameron in 1882. Christina Cameron, born in 1859, died in 1878. Mary Cameron, born in 1861, died in 1929. Hugh Cameron, born in 1863, died in 1910. Alexander Cameron, born in 1865, died in 1937. Jessie Cameron, born in 1867. Catherine Margaret Cameron, born in 1869, died in 1934. Isabella Jane Cameron, born in 1871, died in 1945. John Duncan Cameron, born in 1873, died in 1957, married (1) Ellen Jane Kibblewhite in 1906, and (2) Helen Annie McBeath in 1939. Donald Cameron was born around 1824 in Ockle, Ardnamurchan, Scotland. Donald Cameron was a labourer of 16 when he emigrated to New Zealand on the Blenheim in 1840. On 28 December 1853 Donald Cameron married Isabella Glasgow. Isabella was the daughter of Robert Glasgow and Mary Lamb, and had arrived in New Zealand in 1842 on the Bombay. The Glasgow family went on to become early settlers in Turakina. MRS. WILLIAM LOWES. Residents of the Wairarapa will learn with deep regret of the death of Mrs Lowes, relict of the late Mr William Lowes, which occurred on Sunday night. The deceased lady arrived in New Zealand with her parents (Mr and Mrs Robert Glasgow) in 1841, and resided for some time in Wellington. She came to Masterton in 182, and later went to Wanganui, where she married the late Mr Cameron. Returning to Masterton in 1877, the late Mrs Lowes went on to a farm with her husband at Te Ore Ore, and endured many of the vicissitudes of the pioneer settlers. She was a woman of sterling character, and endeared herself to a large circle of relatives and friends by her kindly disposition. The deceased lady was twice married, her second husband being Mr William Lowes, who predeceased his wife some years ago. The family of the first marriage are Messrs Duncan (deceased), Robert, D. J., William, Walter and Allan Cameron, of Masterton, while Messrs F. B. Lowes and J. P. Lowes (Rongomai), Mrs Gledstone, Mrs F. C. Lewis, and Mrs F. F. G. Cooper, of “Westbrook,” Queensland, are the family of the second marriage. The funeral will leave the residence of Mr H. Graham, Gladstone road, Manaia, at 2 o’clock this afternoon, for the Masterton cemetery, the processional route being by the Te Whiti road and Johnstone street. Duncan Cameron, born in 1854, died in 1918, married Evelyn Barker in 1881. Robert Cameron, born in 1856, died in 1931, married (1) Eliza Clark in 1895 and (2) May Ellen Baigent in 1899. Donald John Cameron, born in 1859, died in 1942, married Anna Robina Woodroofe in 1886. William Lamb Cameron, born in 1861, died in 1933, married Elizabeth Shaw in 1891. Walter Cameron, born in 1862, died in 1946, married Madeline Stewart Baldwin in 1902. Allan Alexander Cameron, born in 1864, died in 1934. Catherine Cameron was born around 1826 in Ockle, Ardnamurchan, in Scotland. Catherine Cameron was 14, and described as a housemaid, when she travelled to New Zealand on the Blenheim in 1840. Catherine married John Macfarlane on 30 December 1848. John Macfarlane was born on 9 February 1817 at Letter, Port of Menteith, Stirling, Scotland, and came to New Zealand in 1842, landing at Nelson. His brothers Daniel and Malcolm followed him to New Zealand some years later. John Macfarlane was a field man with the survey team at Wairau, and made haste into Nelson to bring news of the massacre there. John Macfarlane moved to Wellington and by the time of his marriage to Catherine Cameron he was managing White Rock station in the Wairarapa. In 1850 he sold out his interests to his in-laws and moved to Canterbury. The family established themselves in North Canterbury, where John Macfarlane and his sons became leading pastoralists. We have to record the decease of Mr John McFarlane, of Rangiora, which took place at his residence, Coldstream, near Rangiora yesterday morning. The deceased gentleman landed in Wellington about thirty-eight years ago, and we believe married there, and then came to Canterbury. He settled first at Loburn station, near Rangiora, and afterwards removed to White Rock, a few miles further up country. He subsequently, bought a large quantity of the best land near Rangiora, and took up his residence on it where he remained until his death. As a sheep farmer he had a most successful career, being able of late years to purchase for his sons several very large stations in the north of this island, The deceased took very little interest in’ political matters, but for some time was a member of the Ashley County Council. He was President, for a number of years of the Northern Agricultural and Pastoral Association, in which, he took great interest, giving liberally towards the prizes and encouraging the shows with large exhibits of stock of various kinds. For the past two or three years Mr Macfarlane has been failing in health, and hence has resigned the position he has so worthily filled in connection with the above Society. He leaves a widow and a family of six sons and three daughters, all of whom, except the three youngest sons, are married. The funeral will take place on Saturday. Christchurch, April 27. Mrs J. MacFarlane, of Coldstream, North Canterbury, who died on Friday night, ranked among the very earliest colonists, having arrived in Wellington with her father, Mr Donald Cameron, in the ship Blenheim in 1841. Seven years later, she married Mr. John MacFarlane, who had landed in Nelson in 1842, and afterwards removed to Wellington. In 1850, three weeks before the arrival of the first four ships; she and her husband came to Canterbury and took up the Loburn run, where they lived until 1862. They then removed to Coldstream, where Mr. MacFarlane died in 1884. Mrs. MacFarlane has left six sons, four of whom are well-known Amuri pastoralists, while the eldest has Coldstream. Malcolm Macfarlane, born in 1849, died in 1911, married Anna Mary Chisnall in 1883. John Donald Macfarlane, born in 1851, died in 1921, married Margaret Hart Gibson in 1880. Catherine Macfarlane, born in 1852, died in 1934, married John Fulton in 1881. James Macfarlane, born in 1853, died in 1931, married (1) Stephana Mary Tylee in 1876, (2) Isabel Louise Scully in 1916. Agnes Macfarlane, born in 1854, died in 1924, married George Jameson in 1874. Walter Macfarlane, born in 1856, died in 1914 in England, married Minnie Margaret Wilson in 1889. Helen Macfarlane, born in 1857, died in 1922, married Walter Charles Nicholls in 1881. Christina Ann Macfarlane, born in 1858, died in 1875. David Duncan Macfarlane, born in 1860, died in 1914, married Mary Frances Newton in 1893. Frederick Graham Macfarlane, born in 1862, died in 1863. Alexander Macfarlane, born in 1863, died in 1913, married Sarah Helen McRae in 1896. Annie Cameron was born around 1829 in Ockle, Ardnamurchan, Scotland. Ann Cameron was listed as 12 years old when she travelled on the Blenheim to New Zealand in 1840. Anne Cameron married James (Big Mac) McDonell on 18 December 1849 at Kaiwarra. James McDonell was born in Auchlauchrach, Glengarry, Inverness, Scotland, in 1818. He went first to Australia with other members of his family, and then became one of the first settlers in the Rangitikei district. The death of James McDonnell, which happened on Sunday, has cast a gloom over the whole District. The deceased who has been gradually declining for some mouths past, arrived in the Colony of New South Wales as long ago as 1838, when he came to Wellington, being engaged in the shipping of horses and cattle to the above port. He subsequently determined to make New Zealand his home, and was one of, if not the, first, settler in Rangitikei, where he has remained, living at Inverhoe ever since. The deceased in the early days was known throughout the Province for his unbounded hospitality, and never was there a case of want or distress but what “Mr Big Mac” as his friends fondly called him, came forward to assist and alleviate. The funeral, which took place yesterday, was attended by settlers from all parts and as the procession, which started from Bull’s, neared the family burial ground at Inverhoe, its ranks were gradually swelled by young and old, by Maoris and others, all wishing to pay the last tribute of affection and respect to the once free-hearted settler, until it was at least half a mile long. In passing Parawanui I noticed that nearly all the Maoris who were themselves unable to follow, had adopted the usual symbol of their grief, viz—a garland of green creepers wreathed round their brows. The funeral service, which was performed by the Rev. Father Kirk, was admirably adapted for the occasion, and the address afterwards, pointing to the uncertainty of life and the wonderful mysteries of the never ending future, will long be remembered by the hundreds surrounding the grave where the remains of James McDonnell now rest in peace. Much sympathy was expressed for the widow and the large, though happily grown up family, thus suddenly left in sorrow, which let us hope will soon give way to a feeling of thankfulness in that death in this case was not only painless but peaceful. Big Mac has passed away. I know that no irreverence attaches to this old familiar name, with which every one of the pioneers on this coast is so well acquainted. Many will miss his warm hearty greeting, and many will remember his open hearted hospitality. In days of yore, the deceased, Mr James McDonnell, was engaged pretty extensively in cattle trading, Poneke being then the only market. His life has not been without its adventurous incidents, and many and hairbreadth have been the dangers which he encountered and surmounted triumphantly in the early days of colonization in this province. Many an old identity will feel a pang of regret to hear that the genial host of Inverhoe, who was never happier than when his hearth was surrounded with guests, has left the old familiar scenes, where his cheery presence was a welcome in itself. A large family is left behind. His funeral was one of the most touching demonstrations I have ever witnessed Maori and Pakeha seeming to vie with each other in showing respect for the departed. I have to record the passing of the last of the pioneers of the Lower Rangitikei, in the person of Mrs. Annie McDonnel, who reached the bend, in the road of life early on Wednesday morning The deceased lady will be sincerely mourned, especially by those’ to whom she was such a friend in the days of long ago. It is a far cry to the year 1840, when she landed in New Zealand in the ship Blenheim. She was a member of one of the Cameron families on board, and to distinguish her family from the others they were known as the Piper Camerons. The deceased lady was the last surviving member of that family. She lived in Wellington for about nine years after her arrival, and was then married to the late Mr. McDonnel, and came up to “Inverhoe,” on the Rangitikei, where she has resided ever since. She is survived by three sons and six daughters, viz., Mr. John McDonnel (Marton), Mr. James McDonnel (Wairoa), and Mr. A. A. McDonnel (Lower Rangitikei), Mrs. Hugh Fraser (of Kauangaroa), Mrs. Gray (Wellington), Mrs. Smith (Palmerston North), Mrs. Daniels (Foxton), Mrs. Morse (Bulls), and Miss K. McDonnel, who lived with her mother. Twelve of her grandsons served at the front, viz., Capt. Daniels (killed), Laurie and Denis Daniels, William, Eric, and Dan Gray, also Lionel, Claude, George, Keith, and Wilson McDonnel, and Jack Fraser. Many of them were wounded. She also had three grand-daughters in the nursing staff—Nurse Gray, at the Front, and Nurses E. Gray and I. Daniels on the nursing staff in New Zealand. The two latter were both able to assist in nursing their grandmother at the last. Mrs. McDonnel would have been 90 years of age on Saturday. Archibald McLean McDonell, born in 1850, died in 1917, married Elizabeth Ann Wheeler in 1884. Christina Ann McDonell, born in 1852, died in 1922, married Hugh Fraser in 1874 (New Zealand-born son of Duncan and Marjory Fraser). Flora Jemima McDonell, born in 1855, died in 1938, married Joseph George Smith in 1895. Donald Cameron McDonell, born in 1857, died in 1884. Catherine McDonell, born in 1858, died in 1921. James Angus McDonell, born in 1862, died in 1924, married Mary Jane Nicholls in 1883. Elizabeth McDonell, born in 1863, died in 1942, married George Gray in 1888. Mary McDonell, born in 1864, died in 1936, married Percy Edward Daniell in 1888. John McDonell, born in 1866, died in 1936, married Ellen Brookie in 1891. Aeneas Alexander McDonell, born in 1868, died in 1930, married Elizabeth Burne in 1896. Selina Priscilla McDonell, born in 1872, died in 1960, married Ernest Walford Morse in 1904. John Cameron was born around 1830 in Ockle, Ardnamurchan, Argyll, and travelled to New Zealand on the Blenheim as a 10 year old. 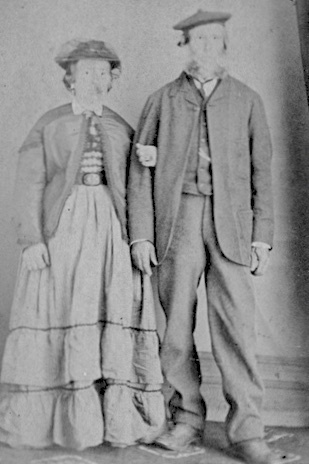 John Cameron married Ann Stewart in 1868. Ann Stewart was the daughter of Duncan Stewart and Anne McPherson, and was born in Ardnamurchan, Scotland in 1841. The family came to New Zealand on the Oliver Lang in 1858. In October 1873, a number of newspapers, e.g. the Southern Cross of 15 October 1873, carried advertisements for the sale of station properties in the Province of Wellington in the estate of the Cameron Brothers, noting that in consequence of the death of two partners in the firm, two stations were to be sold at public auction in Wellington on 1 December 1873. The stations were “Blairlogie” in the Whareama District and the station at Pahaua in the East Coast District. At the auction they were purchased by the surviving members of the firm. In 1878 there was a further sale of the Blairlogie and Pahaua stations, with the former purchased by Mr John Morrison and the latter by Messrs J and D Cameron. The Evening Post of 2 October 1890 reported “The house of Mr John Cameron, at Pahaua, East Coast, was totally destroyed by fire on Sunday last.” In the Evening Post of 4 October it was further reported that the day after the fire, while returning from the funeral of his nephew William Cameron, John Cameron suffered serious injuries when his buggy overturned as a result of the horse shying at a cow in the road, and he was dragged for a hundred yards along the road. DEATH OF MR JOHN CAMERON. From one end of Wairarapa to another, the news of the death of Mr John Cameron, of Opaki, will be learned with deep regret. He passed away this morning, at the age of 68. The deceased was born in Argyleshire, Scotland, and came out to New Zealand in 1840, in which year he arrived at Wellington. He lived at Kaiwarra for some little time, and eventually settled at Pahaou, where he has a station, which his son John now manages. He leaves a large family, nearly all of whom are grown up. The late Mr John Cameron was a brother of Mr Duncan Cameron, of the Coast, and father of Mr Robert Cameron, who joined the Masterton Contingent of the New Zealand force which went to South Africa. The deceased was one of the few remaining pioneers of settlement in this part of the Colony—and was one who had earned the esteem of all who knew him for his integrity and his sterling qualities as a colonist of many years standing. The grieving relatives will have the sympathy of a large number of settlers in their bereavement, The funeral will take place on Monday afternoon. Mrs John Cameron: Another old resident of the Wairarapa, in the person of Mrs John Cameron, died at her residence at Cole street, Masterton, on Sunday evening. The deceased, who was seventy-six years of age, had been ailing for about five weeks. She was born at Argyllshire, Scotland, and came to New Zealand in 1857 in the «hip Oliver Laing. For a number of years she resided at Pahaoa, East Coast, and later on the Opaki. She leaves a family of six sons and four daughters. The sons are Messrs Donald Cameron (Hinakura), Duncan A. Cameron (Hunterville), John Cameron (Dunedin), Robert A. Cameron (Mauriceville), M. D. Cameron (Sydney), and E. P. Cameron (France). The daughters are Mrs H. Hamlin (Auckland), Mrs W. Roberts (Whakatane), and Misses C. and M. Cameron (Masterton). The funeral will take place to-morrow afternoon. Donald Cameron, born in 1869, died in 1945, married Elizabeth Sutherland in 1898. Flora Anne Cameron, born in 1871, died in 1940, married Henry William George Hamlin in 1905. Christina Cameron, born in 1872, died in 1967. Duncan Alexander Cameron, born in 1873, died in 1937, married Ethel Walton in 1909. John Cameron, born in 1875, died in 1928. Mary Stewart Cameron, born in 1877, died in 1949. Robert Allan Cameron, born in 1878, died in 1942, served in South African War, married Florence Jessie Young in 1914. Dugald Stewart Murray Cameron, born in 1880, died in 1967 in Australia, married Ethel Norah Shepherd in 1916 in Australia. Ernest Percival Stewart Cameron, born in 1882, died in 1967, married Donalda Ross Sutherland in 1921. Maud Isabella Katherine Cameron, born in 1884, died in 1970, married William Clare Roberts in 1909. Duncan Cameron was born in Ockle, Ardnamurchan, Scotland around 1832, and was 8 years old in 1840 when he sailed for New Zealand on the Blenheim with his parents. Duncan married Mary Gillies in 1863 (daughter of Isabella Turner and Archibald Gillies). They spent the rest of their lives farming in the Wairarapa, although not without mishap. The Evening Post of 29 April 1880 reported that Mr Duncan Cameron of Moroa met with a serious accident at Featherston, when his trap capsized going around a corner, causing cuts and bruises and a broken collar bone. The: death occurred yesterday morning, at Moroa, near Greytown, of a highly respected and pioneer settler of the Wairarapa, in the person of Mr Duncan Cameron, who had reached the ripe ago of 84 years. Deceased came to New Zealand with his parents, and landed, at Kaiwarra on Christmas Day, 1840. In the year 1846 his father, Mr Donald Cameron, entered into possession of the sheep station, on the East Coast, known as Pahaoa, which later was taken over by the five sons, Messrs Dugald, Alexander, Donald, John and Duncan Cameron. Later again Messrs Duncan and John Cameron bought out their brother’s interest in Pahaoa, and divided the property into two parts, one of which was renamed Glen Dhu, and became the property of Mr Duncan Cameron. Deceased leaves a widow, who is a daughter, of the late Mr Archibald Gillies, of Otaraia, and there were ten children, as follows:—Messrs William, (deceased), Thomas (deceased), Alan (at Castlepoint), and Jack Cameron (at Glen Dhu), Misses Annie, Nellie. and Grace Cameron, and Mrs Cecil Kebbell, Mrs Fred Pearce, and Mrs J. Goring Johnston. The relatives will have the deep sympathy of a wide circle of friends in their bereavement. Mary (Gillies) Cameron died on 16 February 1916 at Moroa, Greytown, aged 73. The Wairarapa Daily Times of 30 July 1919 reported that the Misses Cameron had instructed Messrs Levin & Co to sell by public auction the well-known Moroa homestead, together with fine old home of 15 rooms and outbuildings which, with slight alteration, could be made into a good boarding school. Annie Isabella Cameron, born in 1864, died in 1934. Donald Thomas Cameron, born in 1866, died in 1913, married Mary Bulkley in 1910. Mary Christina Cameron, born in 1867, died in 1943, married Cecil Kebbell in 1896. Catherine Ellen Cameron, born in 1870, died in 1956. Jessie Cameron, born in 1871, married Frederick Pearce in 1896. William Duncan Cameron, born in 1872, died in 1901 while serving in the South African War. John Alexander Cameron, born in 1874, died in [1941?] married Helen Gough in 1920. Alice Margaret Cameron, born in 1876, died in 1936, married John Goring-Johnston in 1899. Allan Archibald Cameron, born in 1878, died in 1928, served in South African War, married Kathleen Meredyth Meredith in 1912. Constance Evelyn Grace Cameron, born in 1879, died in 1970. The Early Canterbury Runs, L G D Acland, 1930, 4th ed. 1975, available online at the Victoria University NZETC site. Masterton District Library and Archive, Picture Wairarapa: Donald and Christina Cameron; Donald (Piper) Cameron; Mary (Morrison) Cameron. Subsequent lists did not include or crossed out daughter Mary, son Donald, and grandaughter Isabella. However, Isabella was probably the McQuarrie child who died on 6 October 1840 while at sea, as noted in Jessie Campbell’s Journal, so it may well be the case that she travelled anyway. The entries for Jane McQuarrie, daughter, and Mary McQuarrie, grandaughter, should probably have been recorded as Jane Fraser and Mary Fraser, since Jane was the widow of a Fraser. Information relating to this family has been drawn from the diary of Margaret Barrett, nee Perry, a daughter of Mary Fraser and grandaughter of Jane McQuarrie. Borline, the place where the McQuarrie family lived at the time of the compilation of the initial Blenheim passenger list, is in the parish of Bracadale, Isle of Skye. Donald McQuarrie died on 7 October 1860, aged 85, and is buried in Turakina. Margaret McQuarrie died on 12 May 1850, aged 70. Rachael McQuarrie was a housemaid and cook of 27 when she travelled to New Zealand on the Blenheim in 1840. It seems likely that Rachael was Jessie Campbell’s Skye servant as described in her Journal. Early in the voyage the Skye servant was often sick and Jessie was not very kind in her descriptions of her, “she is so stupid and heavy she makes herself worse than she really is, wonder Mrs Mac? could recommend such a person even if she is a good cook,” and “Capt. Gray said he never saw much a hulk of a woman, if I put jacket and trousers on her she would do better for a sailor than a nurse.” Jessie Campbell also noted, “My Skye woman made her appearance in wretched plight, think she is not so ill as she says, told her father I must engage another,” so her father was on the ship. Also, an entry on 30 September 1840 noted, “A niece of my Skye maid very ill, threatened with water in the head, she was very sickly when she came on board, she is about 3 years old.” Subsequent entries comment on the health of the McQuarrie child and death on 6 October 1840. Once the Skye servant, who is never given a name, improved her health, there were kinder remarks, “My Skye maid has improved very much, she is so careful and interested in the children,” and “I forgot to mention that when a sheep is killed my Skye maid is employed to make a haggis, and very good she makes it,” although she also records that Captain Grey was “very angry” when the Skye maid refused to make a haggis on Sunday. In 1841 Rachael McQuarrie married John MacKay who was also a Blenheim passenger. New Zealand BDM registration records that John McKay, agricultural labourer, formerly of the island of Egg, and Rachael McQuarrie, daughter of Donald McQuarrie parish of Bracadale, Isle of Sky, now of Port Nicholson, were married on 11 August 1841. The celebrant was John McFarlane, Minister. According to New Zealand BDM records, a Rachael MacKay died on 17 August 1855, although the registration year was 1848 and her age was 36. It appears that Rachael and John may have had a daughter, Christina, born on 9 October 1849 in Wellington. As noted above, Jane McQuarrie or Fraser, was the widow of a Fraser. In the Blenheim passenger list she was listed as a housemaid of 25. From Margaret Perry’s diary, it seems that Jane Fraser lived in Wellington, with occasional trips to Turakina to stay with her daughter. Jane Fraser died on 6 July 1863, aged 47. In the Blenheim passenger list, Angus McQuarrie was identified as a cooper, with his age given as 23, meaning he was born around 1817. In the Electoral Rolls for the Napier district of Hawke’s Bay in the 1850s, Angus McQuarrie is listed as a stockholder living at Petane, with his qualification being leasehold property at Petane. An Angus McQuarrie died in 1859, aged 45. The Hawkes Bay Herald of 12 February 1859 carried a report of the inquest into Angus McQuarrie’s death by drowning at Petane (now Bay View). It appears that Angus and his companion, William Henry Thompson, had been drinking. Angus had passed out on the beach and when Thompson and some local Maoris found him in the morning he had drowned. John McQuarrie was listed as a joiner of 19 in the Blenheim passenger lists. The list of persons qualifying as jurors for the District of Port Nicholson in 1845, 1847-1848, and 1850 included John McQuarry, Kai Warra, carpenter. In Electoral Rolls for Wanganui and Rangitikei in the 1850s and 1860s, John McQuarry was listed as a settler at Turakina, owning freehold land there. John McQuarrie died on 10 December 1865. After his death Marjory (Cameron) McQuarrie married George Perry in 1867. Marjory (Cameron) Perry, formerly McQuarrie died in Devonport on 26 March 1903, aged 87. Alexander McQuarrie was a labourer of 17 when he travelled to New Zealand on the Blenheim in 1840. 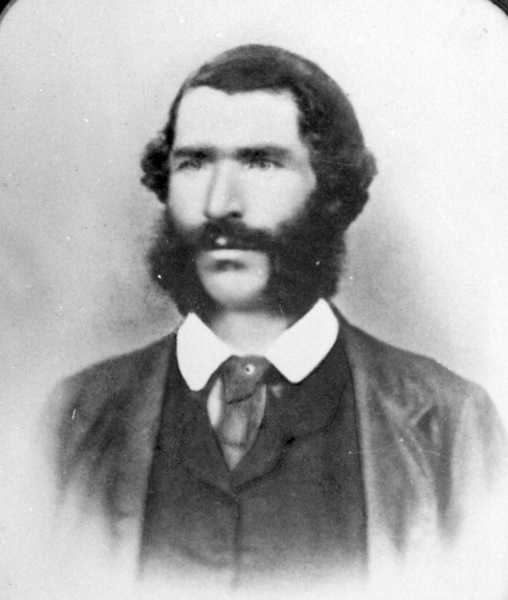 Alexander McQuarrie was a member of the Kettle survey party to Otago in 1846-47. The list of persons qualifying as jurors for the District of Port Nicholson in 1845 and 1848 included Alexander McQuarry, Tinakori Road, carpenter, in 1849 listed at Lambton Quay, and in 1850 listed at Kai Warra. It seems likely that Alexander McQuarrie and his brother Hugh spent some time in the militia. In the Electoral Rolls for Franklyn and Thames in 1870-71 and 1875-76, Alexander and his brother Hugh were listed at Tapu Creek, Thames. In 1890 they were both at Whangaruru in the Bay of Islands and described as carpenters. In 1896 they were at the same place but now described as settlers. Alexander McQuarrie died in 1907, aged 80. Hugh McQuarrie was listed as a cowherd of 14 in the Blenheim passenger lists. From Electoral Rolls it appears that Hugh lived with his brother Alexander, first in the Thames area, then in Northland. Hugh McQuarrie died in 1901, aged 73. On this basis, the assumption must be that although crossed off the list, Isabella did in fact make the voyage. The alternative is that the child who died was John McQuarrie, also 3 years old, but that would assume a significant error by Jessie Campbell that does not seem reasonable. It is not clear who Isabella’s parents were. As noted above, Mary was the daughter of Jane McQuarrie and a Mr Fraser. In the Blenheim passenger list her age was given as 7 years old, and she was the grandaughter of Donald McQuarrie. In 1852, Mary Fraser married Robert Perry, a private in the 65th Regiment. Mary Perry died on 29 June 1879 at Makirikiri, Turakina. Alexander (Sandy) John Perry, born in 1852, died in 1894, married Maria Hempseed in 1878. Margaret (Maggie) Perry, born in 1855, married Edwin Barrett in 1890. Jane Perry, born in 1856, died in 1932, married Walter Taylor in 1874. Margery Perry, born in 1859, married Thomas Riley Taylor in 1876. Mary Perry, born in 1862, married William Gibson in 1882. Douglas Robert Rogers Perry, born in 1865, died in 1922, married Mary Mitchell in 1889. George Perry, born in 1868, died in 1918? Edward (Ted) Perry, born in 1873. Emily Florence Perry, born in 1875, married Edwin Miller in 1896. John McQuarrie, grandson of Donald McQuarrie, was 3 years old when he travelled to Wellington on the Blenheim in 1840. It is not clear who his parents were. No other information has been established for John McQuarrie. Jessie Campbell’s Journal and Letters. Information from his descendants suggests that Angus McMaster was born in Strontian parish in Argyll around 1800, with his parents being Archibald McMaster, a labourer and lead miner, and Ann Cameron. Angus McMaster married Mary McKenzie on 13 December 1842 at the Scotch Church in Wellington. Mary was the daughter of Hugh and Catherine McKenzie, and had also travelled on the Blenheim. In the passenger lists, Mary was recorded in the family of Hugh McKenzie, as a housemaid aged 17. Donald McDonald’s notes on the family say, “This family have been known to me all my life and have mostly been in my own and my Brother’s service.” Mary McKenzie was born in Ardnamurchan, Argyll, around 1823, to Hugh McKenzie and Catherine McDonald. After initially living in the Wellington area at Evans Bay (known for a time as McMaster Bay), in 1843 Angus took his family to the Wairarapa, where they settled at Tuhitarata, near Featherston and Martinborough. PIONEERING EXPERIENCES: THE WAIRARAPA SIXTY YEARS AGO: MR. ANGUS M’MASTER’S VENTURE: A STORY OF ENTERPRISE REVEALED. In the mid 1840s Te Hiko leased land to Angus McMaster and his wife, Mary, settled at Tuhitarata after an 11 day journey on foot from Port Nicholson (Wellington). Thus McMaster became Te Hiko’s client, living under the protection of his mana, and known to the Wairarapa people as ‘Hiko’s Pakeha’. The two men were sometimes at odds, when the one thought the other was encroaching on his rights, but their close relationship endured and extended to their families. The descendants of the McMasters often called their children by names associated with Te Hiko. Angus’s son Hugh was also known as Tuhitarata. After the Pakeha family was established, Te Hiko built his pa at Te Waitapu, not far from their homestead. He lived there for the rest of his life. Angus and Mary had nine children, and then sadly she died in 1864 as the result of a miscarriage when pregnant with their tenth child. Angus married again about a year later on 6 July 1866. His second wife was Hannah Jones who had emigrated from Wales. They raised six more children, two sons and four daughters. The Late Mr. A. M’ Master. Mr. Angus M’Master, one of the oldest settlers in the Wairarapa, died on Saturday, it 4 p.m., at Greytown. The deceased gentleman was supposed to be 88 years of age at the time of his demise. He came out in the ship Blenheim, in the year 1840, and landed at Kaiwarra on Ist January, 1841. Mr. M’Master was a native of Strontian, Argyleshire, Scotland, and commenced his eventful career in the colony as overseer to a body of men constructing a road from Kaiwarra to the Hutt, mostly his own fellow-passengers. He then commenced a small dairy at Evans’ Bay, where he first established his home. He was a man remarkable for his sterling integrity and good qualities, and was on that account selected for many positions of great trust in the early days of the settlement. While at Evans’ Bay he once proceeded on foot from thence to Wanganui with a fellow-passenger, in search of suitable land for settlement. About the year 1845 Mr. M’Master took up his abode in the Wairarapa, at Tuhitarata, where he continued to reside until about 1874, when he removed to Greytown, where he died. For some years Mr. M’Master was the owner of the property at Gladstone, now in the possession of Mr. W. C. Buchanan, M.H.R., and known as the Tupurupuru station, which he disposed of in August 1873. He leaves a family consisting of the widow (his second wife), and 14 children, all of whom were, with the exception of one daughter, around his bedside when he passed away. The absent daughter is the wife of Mr. Stevens, late M.H.R. for Rangitikei. He had also lost by death, in addition to his first wife, two sons and a daughter, making in all the large family of 17 children, comprising eight sons and nine daughters. The deceased was always, even in his declining years, of a most active disposition, and had a kind, cheery word for all with whom he came in contact. The remains will be conveyed to-day (Monday) to his late home at Tuhitarata, where it has always been been his wish to be interred beside the bodies of his first wife and departed children, and this last sad ceremony will take place to-morrow at 1 p.m. The Wellington friends who may desire to attend will find the Kahautara-road, via Featherston, the most convenient, as arrangements have been made for crossing the river Ruamahunga, near Tuhitarata, and the distance is much shorter from Featherston Railway Station than by any other route. Hugh McMaster, born in 1846, died in 1902. Duncan McMaster, born in 1848, died in 1896, married Dolina Catherine Drummond in 1874. Donald McMaster, born in 1849, died in 1919. Ann McMaster, born in 1851, died in 1893, married John Stevens (son of Blenheim passenger) in 1880. Bethiah (Bessie) McMaster, born in 1854, died in 1898. Sarah McMaster, born in 1856, died in 1927. John McMaster, born in 1858, died in 1935, married Mary Colman (cousin) in 1895. Jessie McMaster, born in 1860, died in 1884. Mary McMaster, born in 1862, died in 1892. Hannah (Jones) McMaster died in 1917. Ellen Jones McMaster, born in 1867, married Ruben Uru Te Miroi in 1892. Archibald McMaster, born in 1872. Angusina Kate McMaster, born in 1874, died in 1931. Angus McMaster, born in 1878, died in 1937.